NEW YORK (CBS) Disney always manages to wow us whether we're children or full-grown adults. 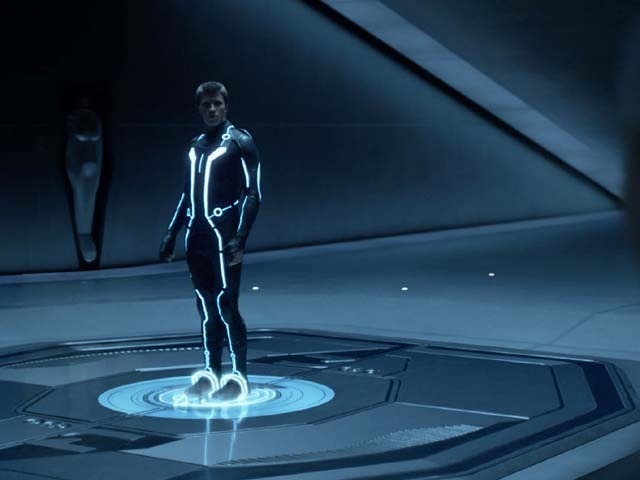 The special effects in its new film, "Tron: Legacy," are so impressive that the film is already generating technical Oscar buzz. Disney gave a sneak peek of the film in select theaters worldwide on Thursday night, giving audiences an eye full of technical mastery. "Twenty-three minutes of scenes from the first half of the film were a feast for the eyes, especially when seen in IMAX 3D," according to CNN. So what did fans see at the screening? The film delves into the story of Sam Flynn (Garrett Hedlund), the son of "Tron" hero Kevin Flynn (Jeff Bridges), who is accidentally placed "on the grid" within a video game, where his father has been for 20 years. In actuality, Kevin has been living in a safe house for two decades and really isn't entirely mentally sound. Viewers also get some insight into Olivia Wilde's character Quorra, who is referred to as an "apprentice" by Kevin. CNN adds that brief glimpses of Michael Sheen's character Castor were seen, along with Clu, who is made via digital effects to look like a younger Jeff Bridges. The effect is "a little creepy," according to the report. Several scenes were shot in full IMAX. One that was considered particularly impressive which was when Sam took part in a game with his "identity disc." "Tron: Legacy" will be released in theaters Dec. 17.